OTTAWA – Prime Minister Justin Trudeau said that the Saudi asylum seeker, who barricaded herself inside a Bangkok hotel room, is on her way to Canada. 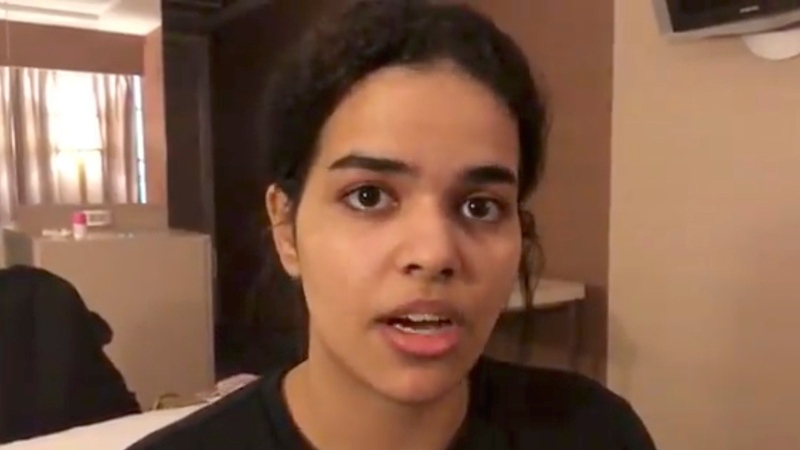 Trudeau said that Canadian diplomats in Thailand had been closely engaged in the case of Rahaf Mohammed al-Qunun, who fled her family and renounced Islam, which is punishable by death in Saudi Arabia. The United Nations High Commissioner for Refugees (UNHCR) had asked Canada to accept her as a refugee, and Canada has accepted that request and will be granting her asylum, Trudeau confirmed. After the 18-year-old refused officials’ attempts to have her board a flight from the Thai capital to Kuwait on Monday, she barricaded herself inside an airport hotel room and took to social media to start a campaign that ended up garnering global attention to her case. This prompted UN officials to grant her refugee status. In a tweet Friday night, al-Qunun thanked those who supported and helped her. “Truly I have never dreamed of this love and support. You are the spark that would motivate me to be a better person,” she said. Australia was among the countries also considering resettling the woman, as that's where she was headed when she arrived in Bangkok on a flight from Kuwait on Saturday. Al-Qunun has alleged that her father physically abused her and tried to force her into an arranged marriage. Thailand police met with her father and said he denies these claims. "When the United Nations made a request of us that we grant Ms. al-Qunun asylum, we accepted," Trudeau said. "That is something that we are pleased to do because Canada is a country that understands how important it is to stand up for human rights, to stand up for women's rights around the world," Trudeau said, during a media availability in Regina. Al-Qunun's case has raised the state of women's rights in Saudi Arabia, where several women have been caught trying to seek asylum after fleeing their homes. Federal officials had signaled earlier in the week that Canada would be open to taking in the teenager, after she had asked Canada for help, via her Twitter account. In a statement, the UNHCR says it welcomes the expected arrival of al-Qunun in Canada. The refugee agency thanked the government of Thailand for its "quick actions," and the Canadian government for providing her a "long-term solution." "Ms. al-Qunun’s plight has captured the world's attention over the past few days, providing a glimpse into the precarious situation of millions of refugees worldwide," UN High Commissioner for Refugees Filippo Grandi said in the statement. "Refugee protection today is often under threat and cannot always be assured, but in this instance international refugee law and overriding values of humanity have prevailed." Taking in a Saudi refugee comes as diplomatic tensions between Canada and Saudi Arabia remain tense after several months of strained relations. First, Canada's ambassador to Saudi Arabia was sent home and Saudi Arabia recalled its diplomatic officials after Canada tweeted concerns about the arrest of human rights activists in Saudi Arabia. Then, Canada levelled sanctions against many Saudis believed to be involved in the killing of journalist Jamal Khashoggi, and is said to be considering pulling out of the deal to sell light-armored vehicles to Saudi Arabia. Trudeau did not voice any concern over how this move may further impact relations. "Canada has been unequivocal that we will always stand up for human rights and women’s rights around the world," he said.